For local SEO, having a Google My Business profile is extremely important. It is free and it allows you to appear in local business search results for queries which are specific to your services and products. Even long queries with huge volumes how local results which is something that most small business owners can capitalise on. SEO experts have always been asked for giving advice on Google my business optimization. Check out the different opinions of the experts, as to what they have to say on the importance of Google My Business for local SEO. Google My Business is crucially important but very soon it will lose its prominence as Google is eliminating all information on location from GMB listings. Now there will be a social interface but the dashboard of Google My Business will still feed the information to Google Maps and also the Knowledge Box and hence it still remains important for you to claim your business location. Google My Business is extremely important for local SEO and without this; no business can appear on any map listing in the SERP which is displayed by Google for vast majority of local engine queries. The increased visibility which has been placed around Google local listing results on mobile clearly means that Google My Business is important for local SEO. When you research on a mobile device, you will see that there are organic results shown below the main search. Only top 3 Google results are shown. Hence due to on-page real estate which Google can take up, there are enough opportunities for traffic which is listed for competitive searches. What can businesses do to optimize Google local listings? It is indeed important that the number which is listed is a local one and that it matches the number which is displayed on the landing page. You have to use the actual name of your business and even choose the right categories. There’s nothing else which will matter after such a change. Businesses first need to claim their listing, ensure details are updated, double-check opening hours and check their business images. Therefore, if you’re wondering about Google local optimization, you can take into account the above mentioned points on the importance of Google My Business listing. 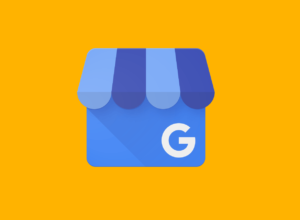 List your business in GMB in order to be visible in local search results. To know more about seo tricks checkout here.